Gourd is kind of squash, its latin name is Lagenaria Siceraria, traditionally the Chinese view it as an icon of blessing. It has been with the Chinese culture for a long long time, its seeds were found at a Zhe Jiang 5000BC archaeological site, the hollowed out dried skin is probably the first liquid container used before pottery and bronze. It is also commonly used in the old days to store medicine, there is an old say, “wonder what kind of potion is stored in this gourd” meaning a suspicion of someone up to something. 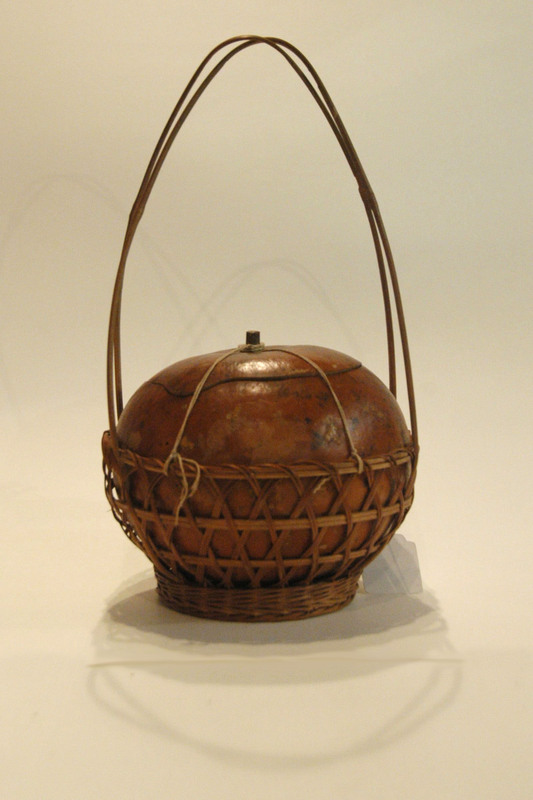 The gourd used for the basket is not of the common “8” shape (see entry Small Gourd) form but a more rounded shape, which is a species from Japan.